What Gas Boiler Grants Can I Get? There is a way to get financial help toward the cost for replacing your home gas boiler – there is a lot of info here: www.localboilerquotes.co.uk/boiler-grants/ but basically you need to qualify first. The grants come under the responsibility of HHCRO (The Home Heating Cost Reduction) and in order to apply you will need to hve your system surveyed by an approved gas engineers. The survey is provide free of charge. Once the survey establishes that you have an older inefficient boiler it is possible for you then to get 100% of the cost of the replacement in the form of this grant. 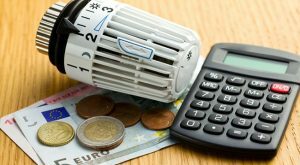 The grant is aimed at those in “fuel poverty” due to their difficult financial circumstances – particularly those on benefits and the elderly. The process is via an application and, as mentioned above, you can learn more at Local Boiler Quotes website.